For other uses, see Dinar (disambiguation). 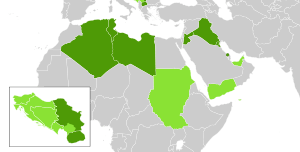 Nations in dark green currently use the dinar. Nations in light green previously used the dinar. Yugoslavian states are inset to the lower left. The dinar or denar is a main currency unit in modern circulation in seven mostly-Islamic and two mostly-Orthodox (Serbia and FYRM) countries, and has historic use in several more. 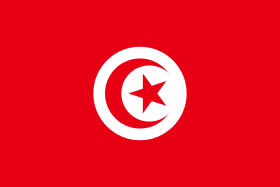 The English word "dinar" is the transliteration of the Arabic دينار (dīnār), which was borrowed via the Syriac dīnarā from the Greek δηνάριον (denárion), itself from the Latin dēnārius. 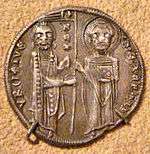 The gold dinar was an early Islamic coin corresponding to the Byzantine denarius auri. A gold coin known as the dīnāra was also introduced to India by the Kushan Empire in the 1st century AD, and adopted by the Gupta Empire and its successors up to the 6th century. The modern gold dinar is a modern bullion gold coin. 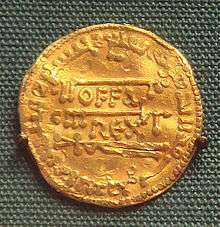 Countries and regions which have previously used a currency called "dinar"
The 8th century English king Offa of Mercia minted copies of Abbasid dinars struck in 774 by Caliph Al-Mansur with "Offa Rex" centered on the reverse. The moneyer visibly had no understanding of Arabic as the Arabic text contains many errors. Such coins may have been produced for trade with Islamic Spain. 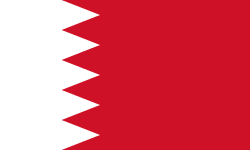 Wikimedia Commons has media related to Dinars. ↑ Versteegh, C. H. M.; Versteegh, Kees (2001). The Arabic Language. Edinburgh University Press. p. 60. ISBN 978-0-7486-1436-3. ↑ Koehler, Benedikt (2014). Early Islam and the Birth of Capitalism. Lexington Books. p. 102. ISBN 978-0-7391-8883-5. ↑ Friedberg, Arthur L.; Friedberg, Ira S. (2009). Gold Coins of the World: From Ancient Times to the Present. Coin & Currency Institute. p. 457. ISBN 978-0-87184-308-1. ↑ Mookerji, Radhakumud (2007). The Gupta Empire. Motilal Banarsidass. pp. 30–31. ISBN 978-81-208-0440-1.